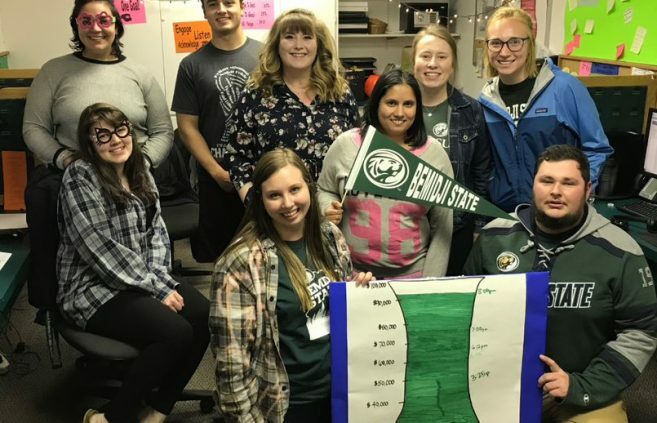 The campaign’s 24-hour, $100,000 fundraising goal celebrated BSU’s centennial year and the impact BSU alumni, faculty and staff and supporters have had on the university during the past 100 years. It called upon BSU supporters to make a difference for BSU students by donating to a variety of causes, including student scholarships, emergency financial support, athletics, the American Indian Resource Center or another fund of their choosing. Donors were able to make their gifts online, via text message or by phoning into a calling center staffed by BSU students and employees. The morning began with an energetic kickoff celebration held in the Hobson Memorial Union’s Terrace Lounge from 9 – 10 a.m. Students, faculty, staff and community members learned more about the campaign from Dr. Jesse Grant, Associate Vice President for Student Life and Success, while enjoying muffins, doughnuts and other breakfast items. 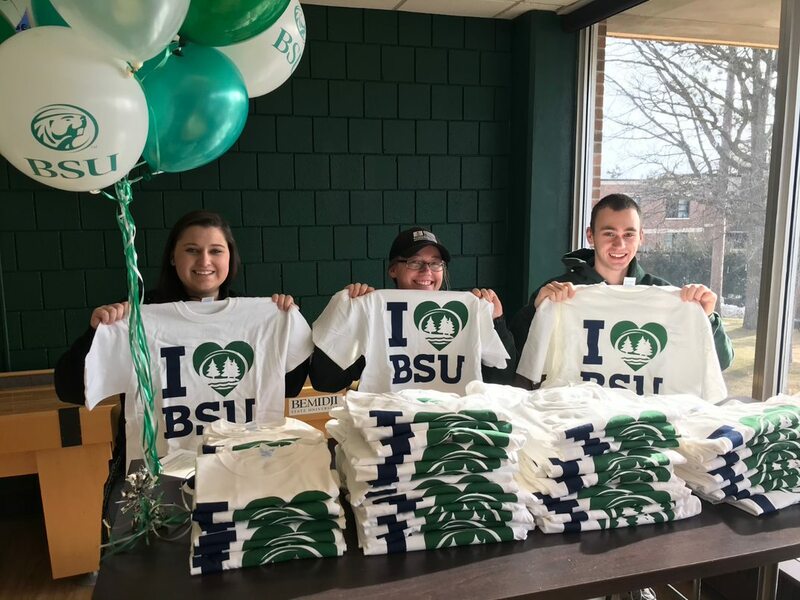 The BSU jazz band provided live music to the crowd and special “I Love BSU” t-shirts were given to participants to wear during the day. 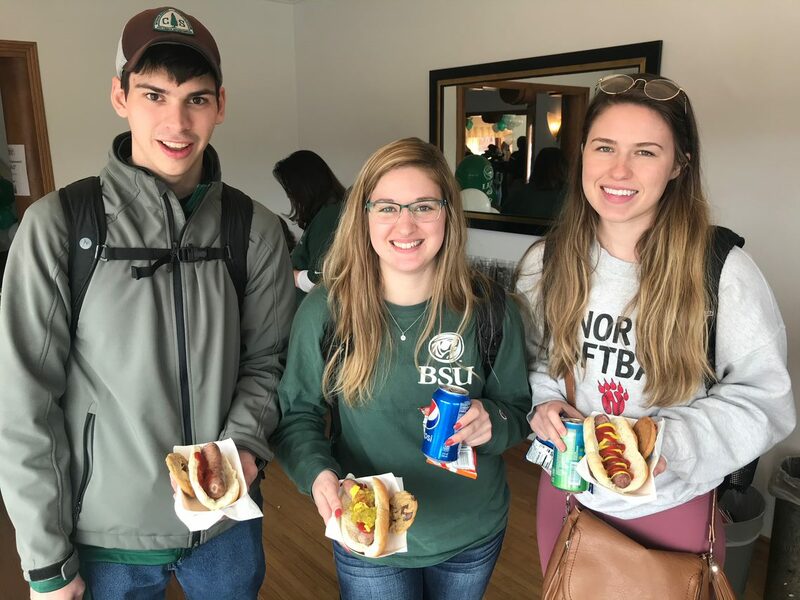 A brat lunch fundraiser was held at the David Park House from 11:30 a.m. – 1:30 p.m., with proceeds benefitting the Lakeside Opportunity Fund. 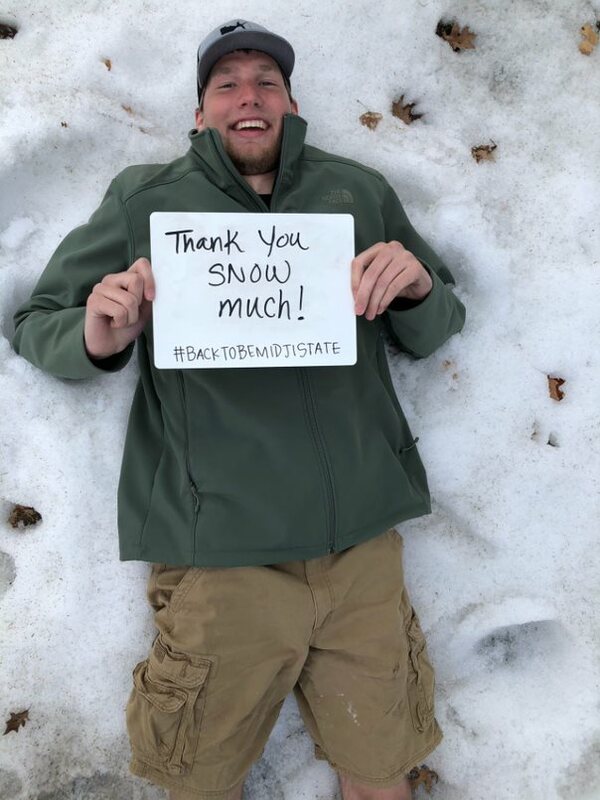 Nearly 80 students, faculty, staff and other BSU supported students with the greatest financial need on campus. 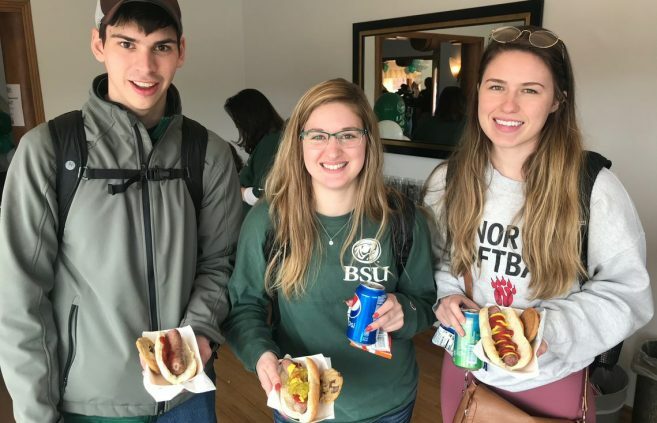 Donors who made a gift of $5 or more received a brat, chips, cookies and a beverage. Special green and white popcorn, donated by Big River Scoop in Bemidji, was available for sale as well. 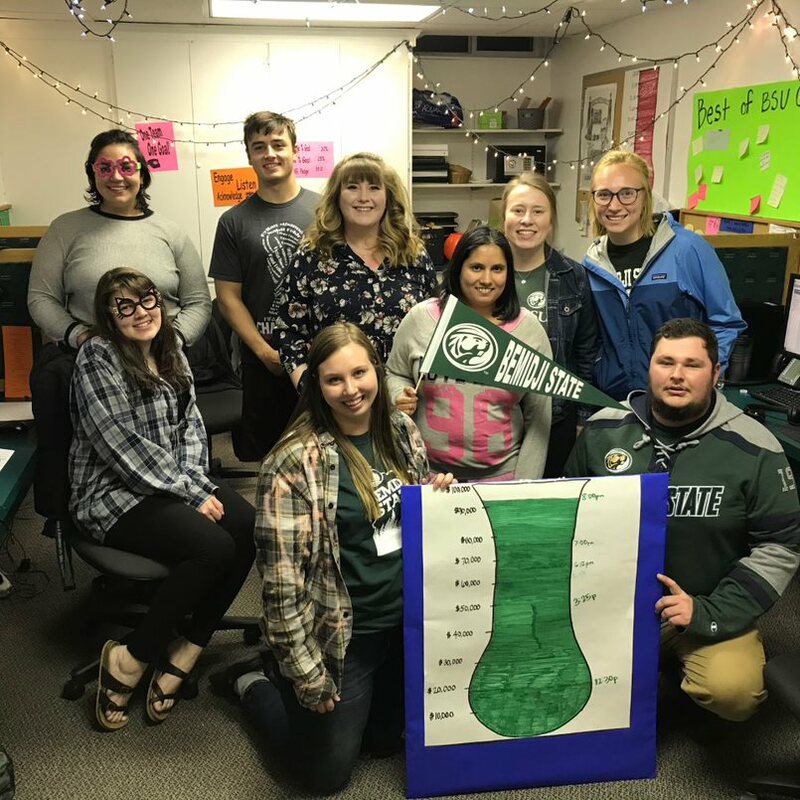 Students were also actively involved in Back to Bemidji State day of giving. The BSU Student Alumni Association collected stories and photos of students who have been impacted by donor support during their time at BSU. 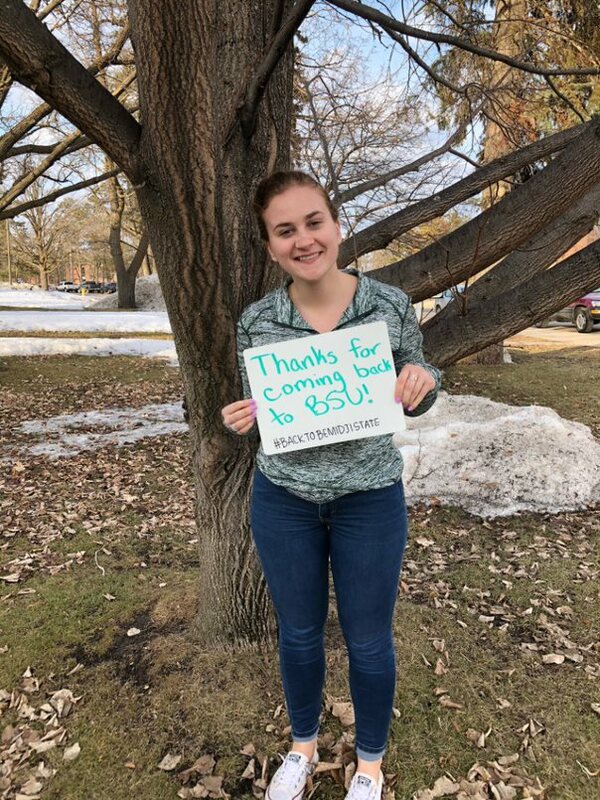 These photos were shared on BSU social media throughout the day as a way of thanking donors for their commitment to student success. 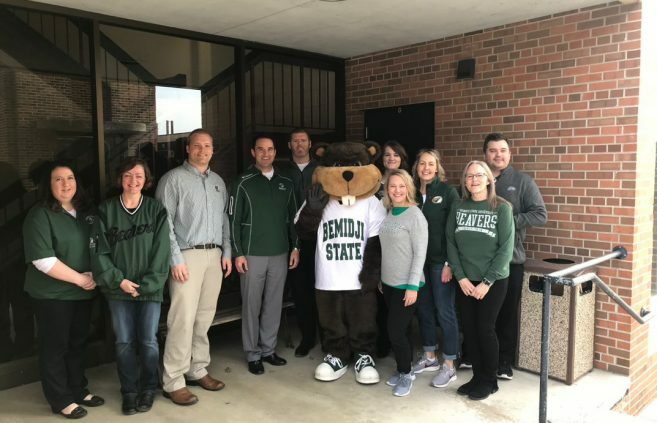 The BSU campus community enjoyed cake and other treats during Beaver Treats in the HMU Leadership Center at 3 p.m. Students and employees learned more about Back to Bemidji State and the financial need that exists on campus during the event. 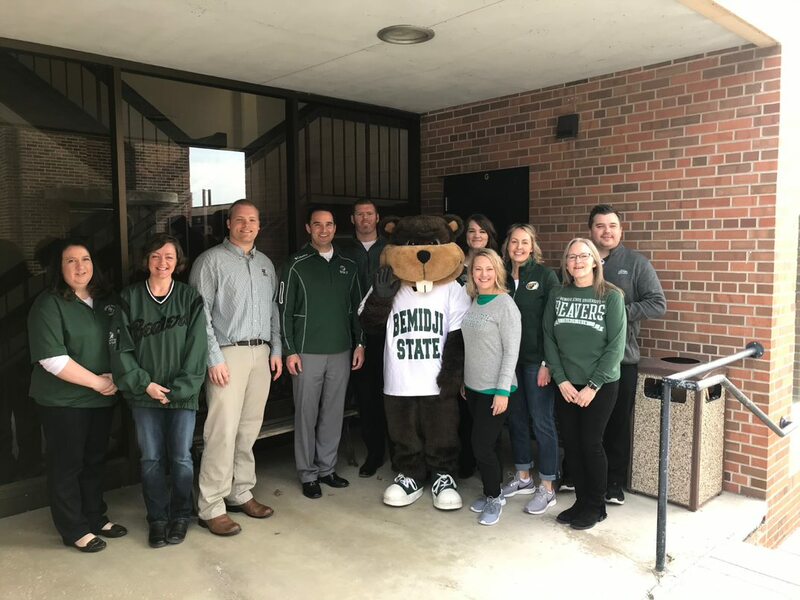 The Back to Bemidji State celebration continued into the evening at Bemidji Brewing. 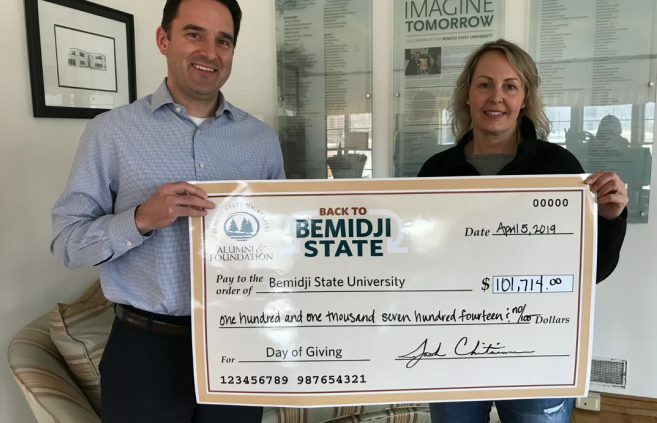 From 5 – 8 p.m, attendees were able to purchase a limited-edition BSU Centennial pint glass for $15, which included a free fill of Bemidji Brewing tap beer or a non-alcoholic beverage. 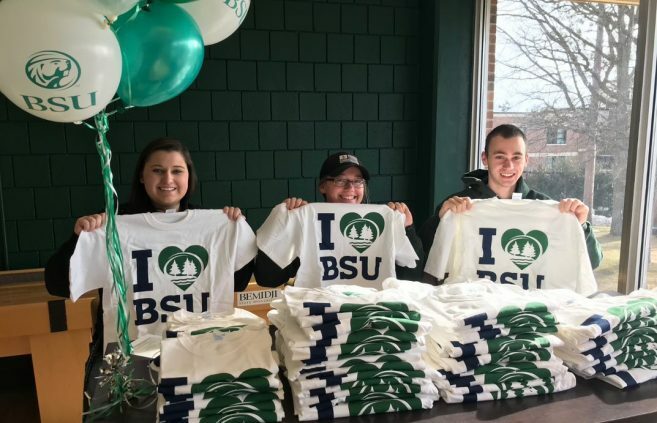 Attendance was spectacular and nearly 100 limited-edition pint glasses were sold to help support BSU students. 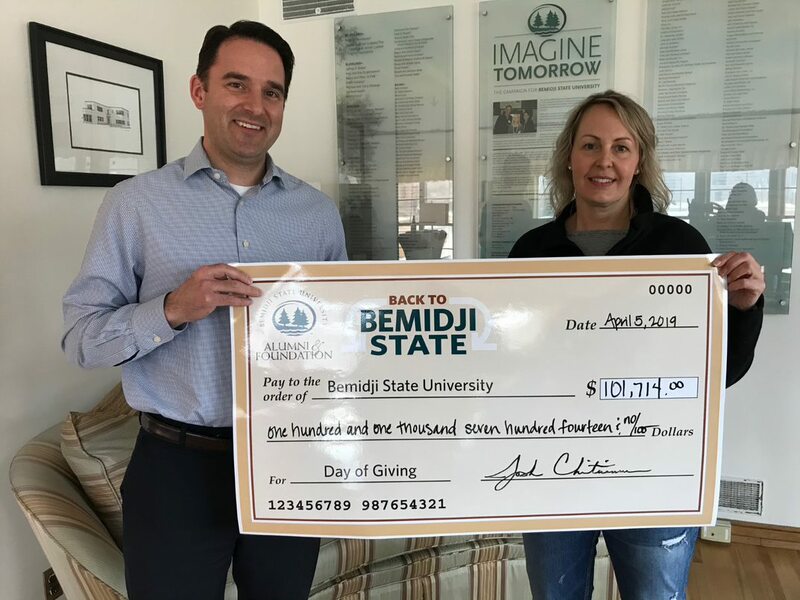 A number of local restaurants also participated in Back to Bemidji State day by donating a portion of their sales the week of April 1-4. BSU social media channels called upon supporters through the use of special giving challenges, videos and photos throughout the day. 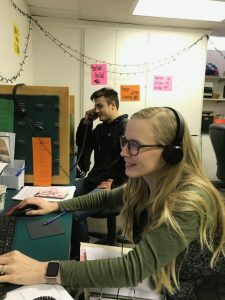 Local radio and TV stations were also used to spread the message of the day of giving both leading up to and on April 4. 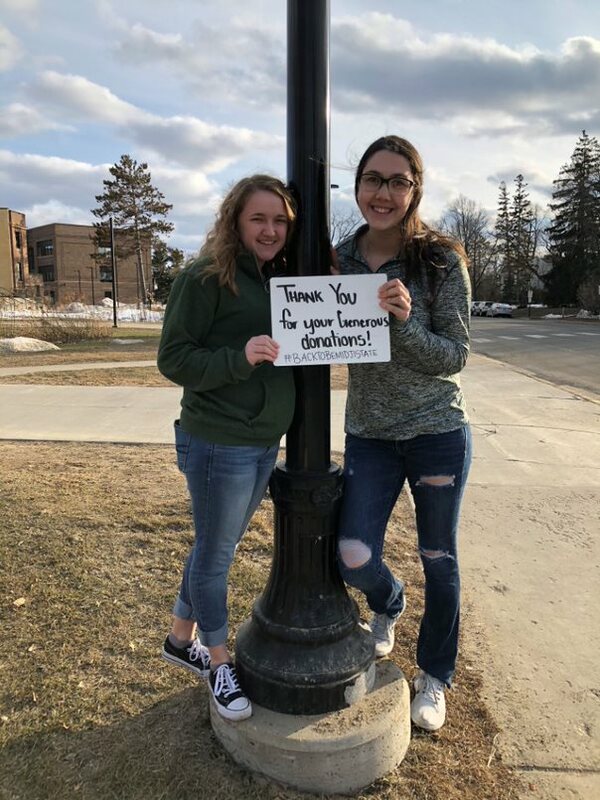 Early in the morning on April 5, donors surpassed the campaign’s goal. 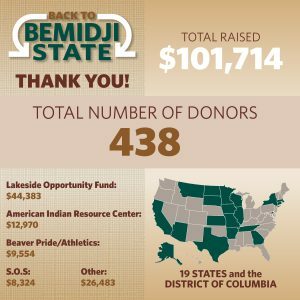 At final tally, between online and matching gifts, the brat lunch fundraiser, Bemidji Brewing’s Community Spotlight, and support from local restaurants, 438 donors from 19 states collectively raised $101,714 for BSU students in under 24 hours. 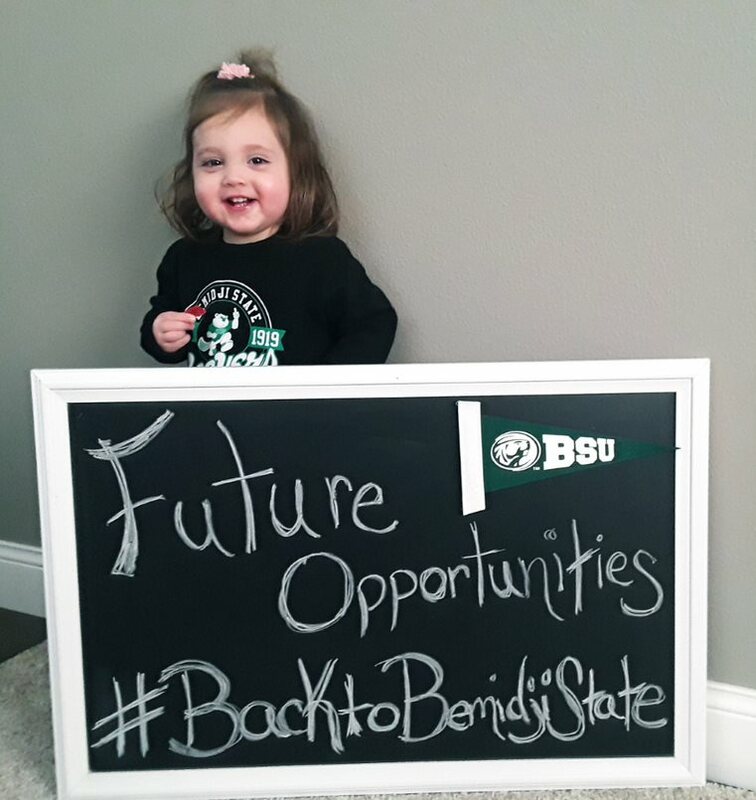 This incredible amount of support will have a far-reaching impact on both current and future BSU students. This release was drafted by the Bemidji State University Alumni & Foundation and is being distributed as is by the Office of Communications & Marketing. 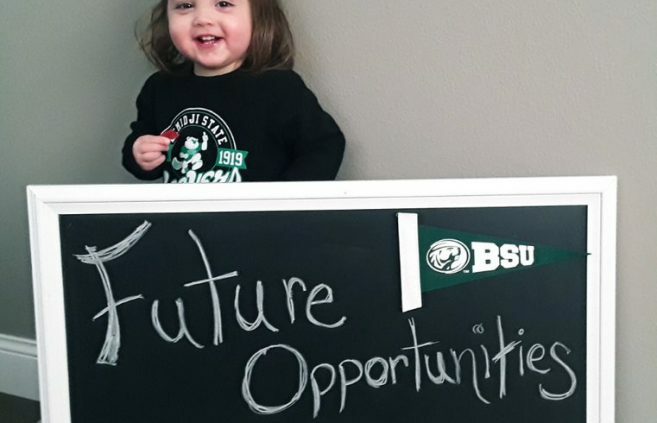 For more information about this event, please contact Eric Sorenson at (218) 755-2779 or eric.sorenson@bemidjistate.edu.